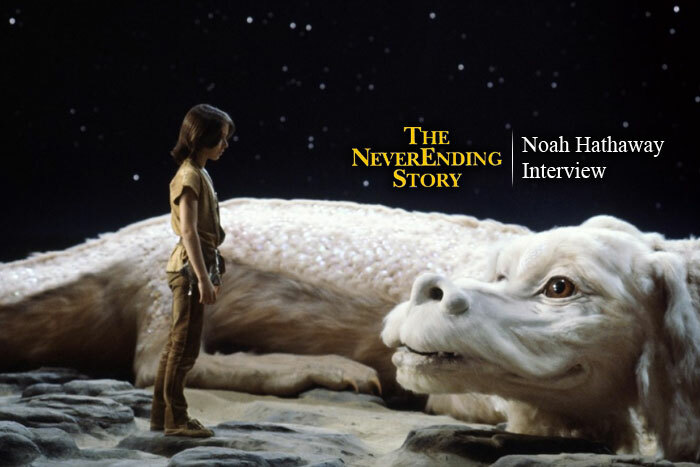 Interview: The Never Ending Story’s Tami Stronach – Spotlight Report "The Best Entertainment Website in Oz"
Wolfgang Petersen‘s The NeverEnding Story is a film that stood the test of time, an instant 80’s classic that still takes viewers into a magical journey across the world of Fantasia. 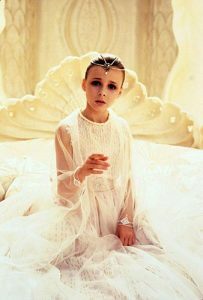 Actress and dancer Tami Stronach, became famous for playing the role of “The Childlike Empress” in the film. Now, many years later, she has become the artistic director of her own Dancing company, and the co-founder of the family entertainment company, Paper Canoe. We were lucky enough to chat with the lovely Tami about her journey as a child actress, working with Wolfgang Petersen, her future projects, and of course, about The NeverEnding Story. 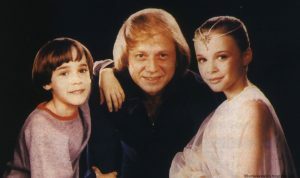 SR. From a child star in the The NeverEnding Story to a Professional Dancer. What can you tell us about this journey? Why did you stop acting? TS. As a child, I really enjoyed dancing, acting, and singing equally—as a kid it never occurred to me that I needed to choose. I was taking acting classes and ballet classes starting at age four. After The NeverEnding Story, I did choose to walk away from celebrity, which I found a bit overwhelming, and focus more heavily on my dance training. I knew that dancing is a young persons game and I loved the way it felt to move all day…but I actually never truly left acting. After I formed my own dance company, I frequently snuck a lot of theatre into my dance pieces and many of the professional companies I worked with were making interdisciplinary pieces so that gave me opportunity to mix acting and singing with dancing. I also joined a theatre company for seven years called The Flying Machine, originating roles for 4 shows that the company created. So the journey for me was about staying committed to being a story teller in many different mediums… just being in the studio as much as possible and continuing to create. I think somewhere in the back of my mind I always knew when the time was right I’d get back into acting in a more focused way. With the birth of my daughter I founded Paper Canoe Company, dedicated to creating family entertainment, and two of the three shows we created over the past two years were plays. I also just shot an independent film last month called Ultra Low, So it seems like the acting bug is gently coming back and I think the idea of celebrity looks really different in your 40s. At this point in time, I really enjoy interacting with never ending story fans and view it as an opportunity to connect with people, which is a gift,. SR. The NeverEnding Story story is a pop culture icon, and many of us treasure the film. What can you tell us about the first day on set of the film? TS. On the first day, I was given a tour of the studios. I was quite nervous and excited. All of the set pieces that would be used in my scene were still being built and the look of the empress herself still hadn’t been decided on. So it was really a tour of various tents that housed different parts of the film. The epic scale of the film caught me by surprise, it was awesome. SR. How was working with Wolfgang Petersen? Have you ever been tempted to contact him and work together again? TS. I loved working with Wolfgang Petersen. He treated us as professionals more so than children and I really appreciated that. He was a very hands on director. I did briefly contact him in my twenties because I had gotten into a dance company that was based in L.A called the Bella Luitsky company and I thought about getting an agent and possibly returning to commercial acting. He was very generous and told me to send him a scene of me acting which I did, and then he said if I wanted to re enter the commercial world that I should move to L.A and get an agent and he would help me get started with that. But, I also got into a dance company in New York; I felt my dance window would close soon enough so I opted to go the dance route. I imagine that’s confusing to some people. But for me the draw to the arts was always about just being creative and doing meaningful projects. I think in that way, the themes of The NeverEnding Story deeply impacted me, its important to do what you dream even if that dream doesn’t really make sense to other people. I think the key to happiness is honouring your own creative expression and idiosyncratic nature. In any event, it was a very generous response from Wolfgang and I was very grateful. SR. You are currently working on a film named “Ultra Low”. What can you tell us about it? TS. Ultra Low attracted me because it looks at how impossible it is to actually make a film. There is a kind of quixotic quality to producing theatre, dance, and film. As a producer and director myself, I have a lot of empathy for the struggle presented in the film and so I wanted to be a part of that story. There is also a tongue and cheek quality about it that I enjoy. 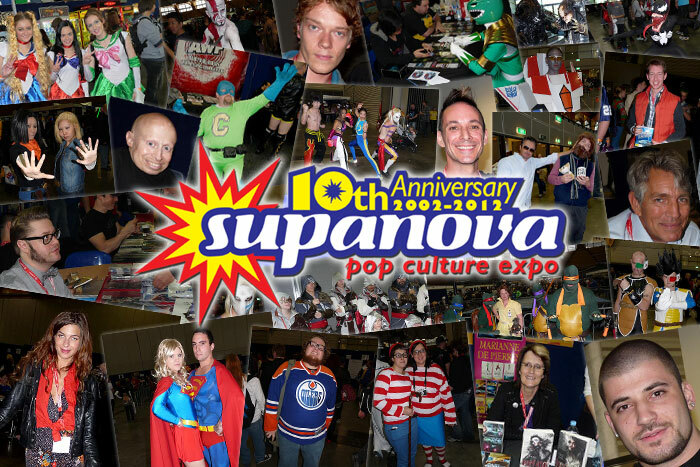 SR. We were lucky enough to meet and interview Noah Hathaway while ago. He also took a long hiatus from acting and started to focus on martial arts. However, he made a comeback in 2012’s Sushi Girl. Why do you think most of The NeverEnding Story cast members took different career directions after the film? TS. I think being a child star can be problematic, especially in the 80’s when there were less protections for young actors. I think with parents that are in the business and savy about how to keep things fun and light it could be a great thing but given the reality that so many child stars end up bruised from being a product before being a person I’m not surprised that our cohort chose to grow up maintaining our privacy. I do think its funny that both Noah and I ended up taking a kinetic path that prioritizes physical discipline- funny coincidence. SR. Have you been in touch with your formed cast members? TS. I tried to meet up with Noah at a comic con. I was lured there with the prospect of seeing him again, which I thought would be really fun after 30 years, but he ended up cancelling. On a positive note I discovered what Comic Con is… I didn’t even know about them! It was really fun to discover that so many people still have so much affection for The NeverEnding Story. By going to a convention I realized that it was a bit silly to not engage with the very special experience that I had being a part of that film. Also, most of the NES fans I met had kids of their own now and so we had a lot in common in that we were parents with a nostalgia for 80s stuff. I realized that the kinds of products I was making with Paper Canoe Company would probably have appeal to this group too and the dots started connecting themselves…my start was in family entertainment and now I’m coming back to the genre which has awakened a newfound appreciation for the Never Ending Story in me. So I’m glad I tried to meet up with Noah. SR. Can you share with us any funny story while on set of the film? TS. I had a denture because I lost two teeth on my upper jaw—they were the two teeth that frame your two front teeth….The denture was enormous. It also made me lisp when I first put it in…I think its funny nobody can tell that my teeth in the first scene are totally different than my teeth in the second scene. Thankfully, by the time we shot the second scene almost two months later they grew back enough that I didn’t need to wear that horrid denture. However I could not smile broadly so as not to draw attention to the teeth that were growing in. SR. What’s your favourite NeverEnding Story scene? TS. I like the scene with the rock biter when he says they look like big strong hands. I also have a fantasy that if they ever make an NES remake I could play Engywook’s wife, Urgl. They are adorable. TS. I’m reading scripts and keeping my eye out for acting roles I’m attracted to. I’d like to work a fantasy or sci-fi film. Possibly a horror film, as I have a soft spot for vampire stories. But a lot of my time right now is going into establishing Paper Canoe Company as a beloved source of family friendly content. We’ve just released an album, Beanstalk Jack. It’s a folk rock opera based on the classic Jack and the Beanstalk. We have some upcoming shows in May and June in New York so I’ll be doing some singing. I’m also working on choreographing a stop motion music video for one of the Beanstalk songs. I’m making a dance film next fall with a Czech artist using an interactive sound and light installation he developed with his team. Doing what I dream, in other words, as much a possible.